Paradise Ponds and Waterfalls are your award winning Atlanta area Pond Construction & maintenance specialists. We have a life-long passion for water features that create a unique lifestyle for our customer​..
Are you looking for the best pond contractor in your area? Each year, we at Paradise Ponds and Waterfalls we get hundreds of phone calls from people that are looking for the Best Pond Builder in Alpharetta, Johns Creek and surrounding areas of Atlanta, GA. Since we have been building ponds for so many years they often ask us who are some of the best pond contractors in my area? We are not one to shy away from being candid with potential customers about other pond contractors, and we want our customers to be as informed as possible. If you are ready to hire a fish pond contractor, start with these qualified companies listed below. Here are the top four certified pond contractors in the Alpharetta, Johns Creek and Duluth areas of GA that we would recommend. 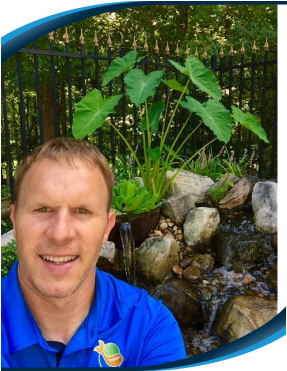 John Magyar, owner of Universal Aquatics LLC, is an expert-trained pond biologist with more than 15 years of experience in water feature design installation, and maintenance. The independently owned and operated team was founded in Atlanta, Georgia, but has been involved in installation projects across the country. As a Certified Aquascape Contractor, we install environmentally friendly water features, such as Koi ponds, garden ponds, pond less waterfalls and rain harvest systems. These are just a few examples of how we help you create the lifestyle that you deserve. We are "The Pond Professional" of North Georgia. After 18 years in the Atlanta North Metro areas, we are rapidly becoming known as one of Atlanta's premier water feature designers, installers and consultants. Over twenty five years experience working with ponds, fish and filtration systems. Built first pond 28 years ago. Ranked nationally as one of the top Aquascape pond installers in the Country.